If you are thinking of renting your property or have a property that is currently on rent, landlords insurance is essential. Whether you are looking for a more competitive quote than your current deal or if you are looking to insure your first buy to let property, ensuring you have the best advice and the right product is extremely important. Landlord legal expenses cover – provides professional legal advice and legal protection as part of your landlord buildings insurance. It also covers you if you have to evict your tenant. Landlord loss of rent cover – as you r rental will be part of your income, it makes sense to protect this as you would other things. Our policies can offer you this additional add on to ensure your rent is covered if the tenant looses their job or cannot pay you anymore. Landlord Buildings Accidental Damage – this is a very valuable addition to your policy. We all know that accidents do happen and can sometimes be very costly. This can include windows and pipes. When it comes to insuring your property we like to keep things simple and transparent. 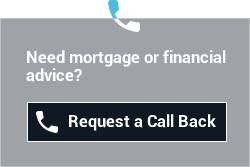 For a FREE, no obligation please speak to one our advisors. 2 Year or 5 year fixed?